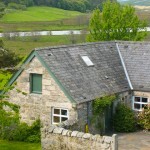 Kyle Cottage faces both east and west but is predominantly south facing. 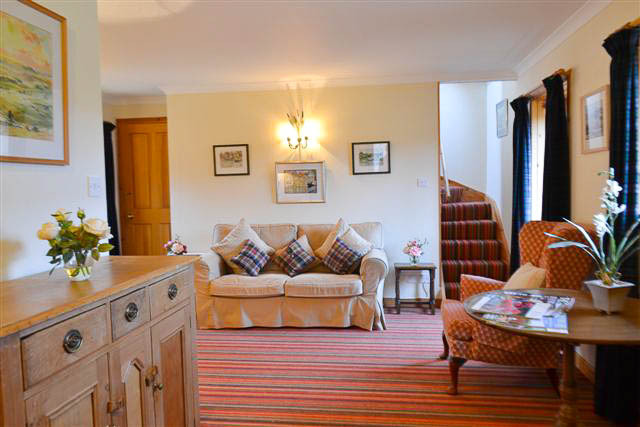 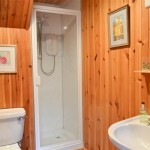 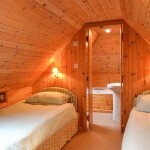 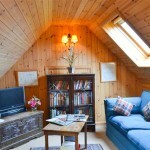 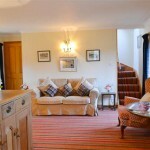 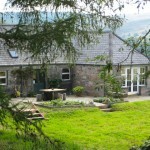 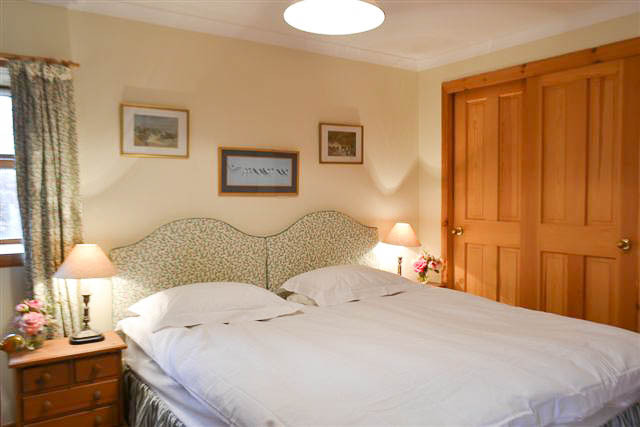 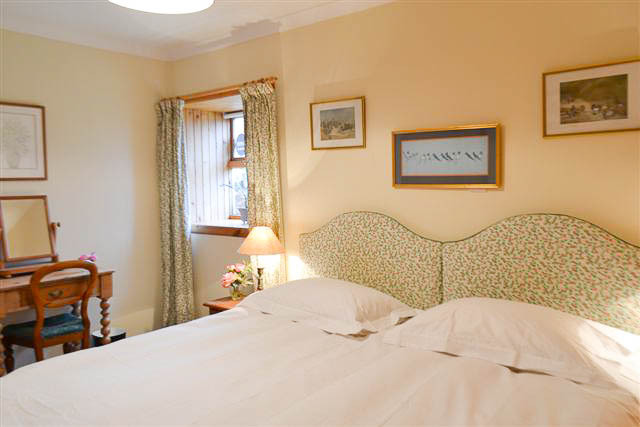 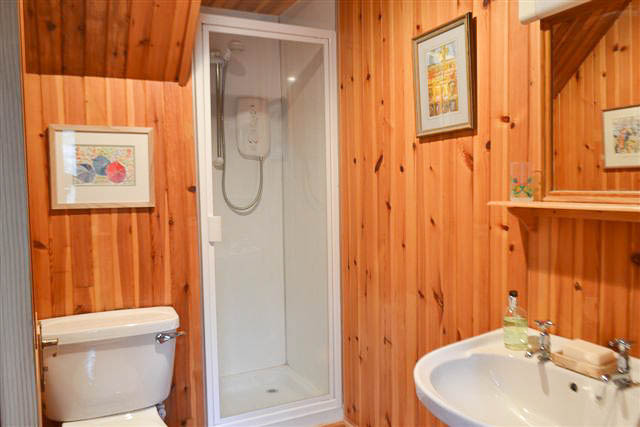 To the left of the entrance hall is a downstairs double room with its own shower room. 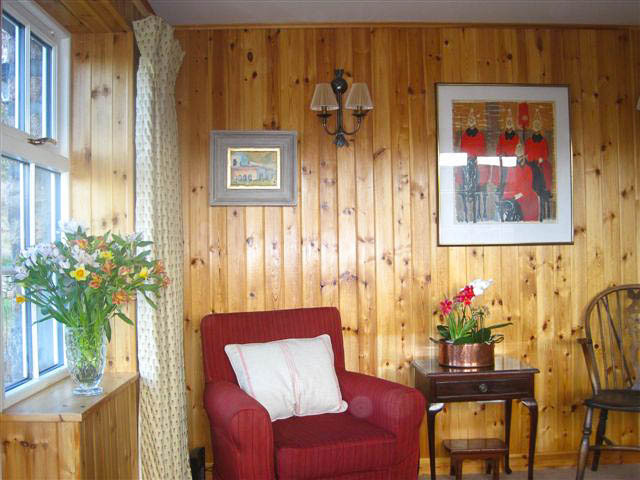 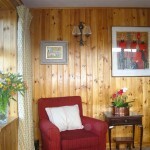 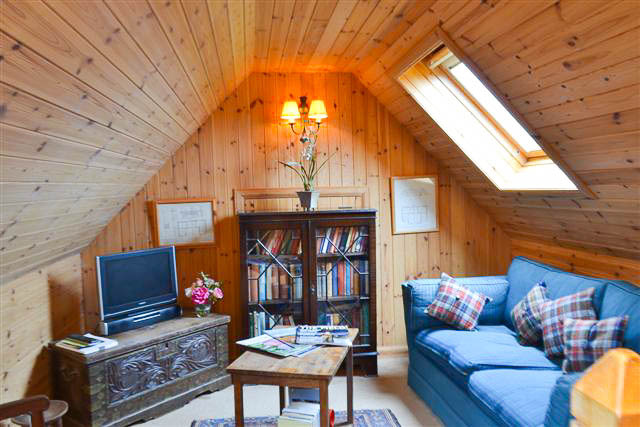 To the right of the hall is a cosy but spacious sitting-room with two sofas and an armchair. 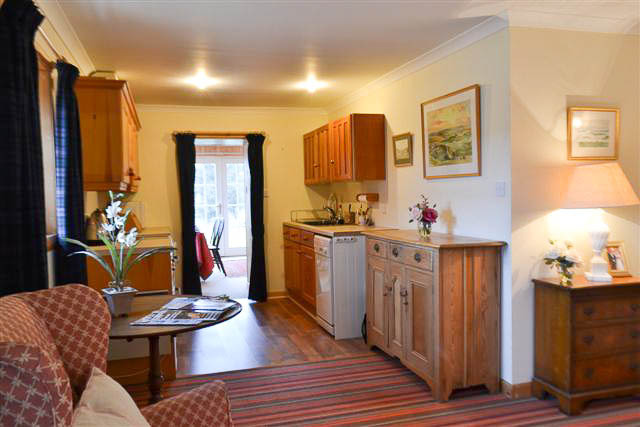 Off this is a well-equipped kitchen including a dishwasher. 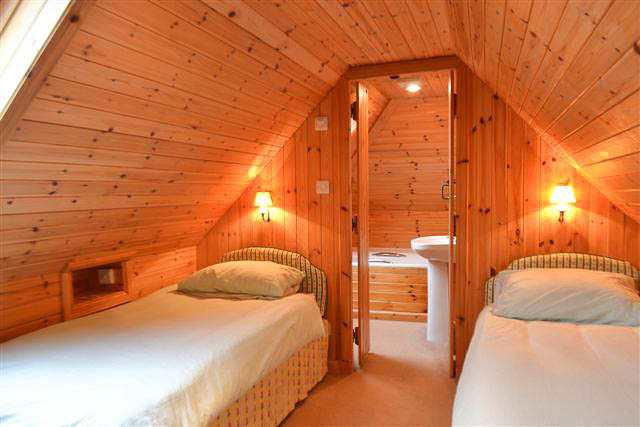 If you head upstairs from the sitting-room, there is a twin room with its own bathroom together with a comfy television area. 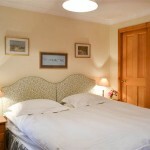 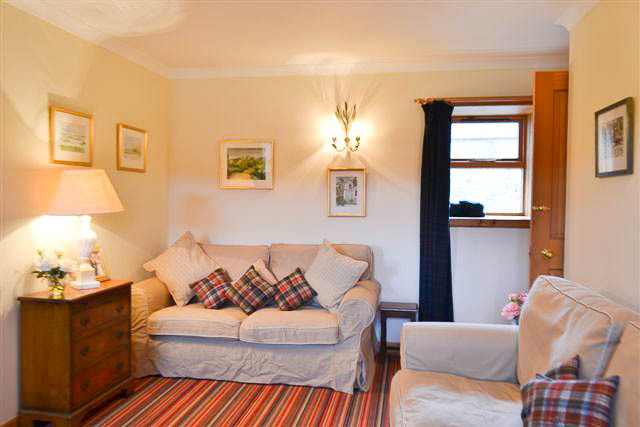 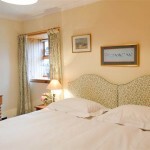 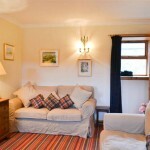 The sofa(bed) here can be converted to provide extra accommodation at special request. 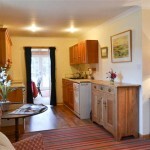 Leading on from the kitchen is one of the highlights of this cottage – a west facing garden room. 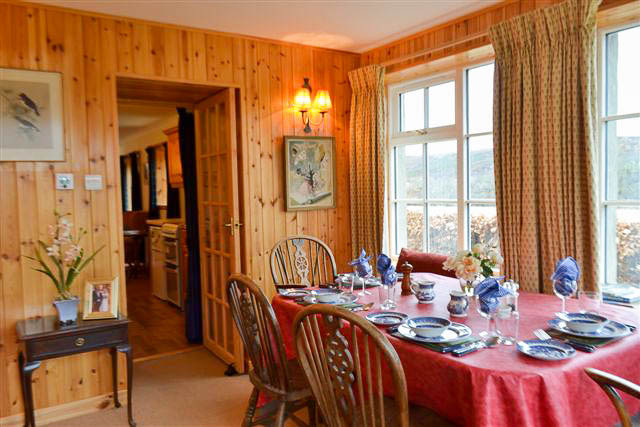 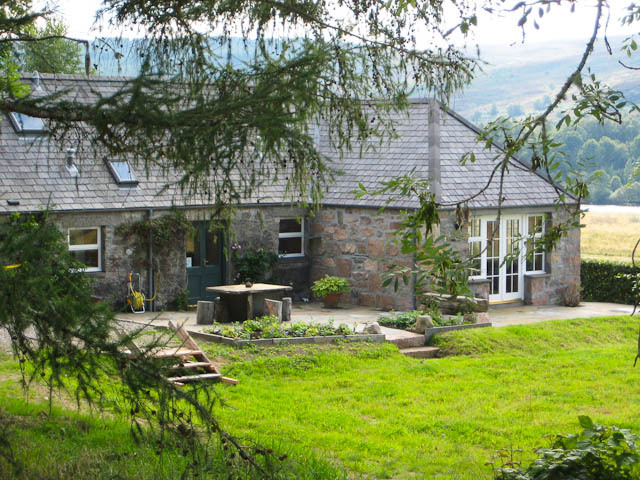 It is pine lined, with under floor heating, soaks up non stop summer and winter light from both south and west, uninterrupted views, and has a sofa and a dining table for 6/8. 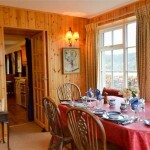 French windows lead straight out via a seating area into the garden and beyond to the mountains of the west. 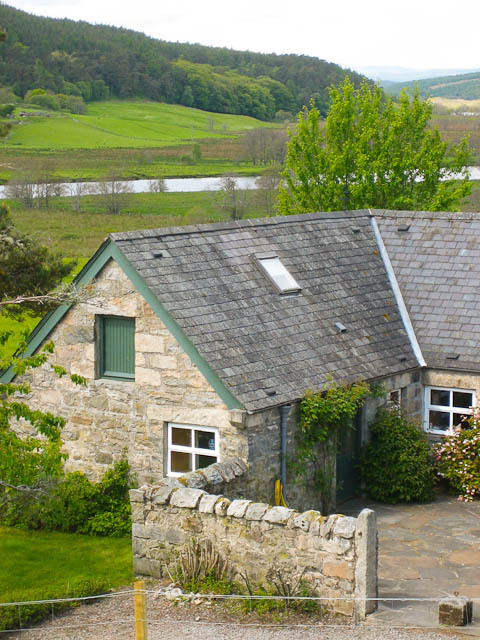 • A deposit of half the total booking is asked for to confirm the reservation and the balance will be due 15 days prior to the let.